The Day You've All Been Waiting For: Our Wedding! Hello everyone. This is Fate T. Haralown, as you should know already. I want to make an announcement. 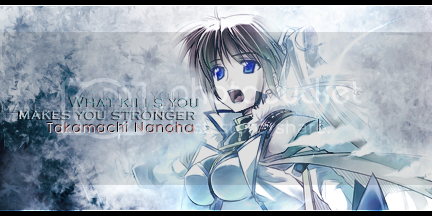 Nanoha-san and I are getting married on Sunday, June 13, 2010 at 5 PM our time (Pacific Time-Zone). It would take place in the Chat Room. (: Right now it's 3:17 PM, so you can just count backwards or forward to your time and be on time for our wedding. Everyone is invited. We will also have someone record/save a log for us too. (: So don't worry if you can't make it. We will have a record of it and you can just watch/read from there if you're busy. Special thanks to those who are participating also~~ (: Thank you. ^ ^ Those who would like to participate, please get back to me before 5 PM: Our wedding ceremony. Best man, guess I was sorta expecting that, anyways, can't wait for the ceremony luv! Hope it goes over well. >.> who's fault is that? WE WILL STILL DO IT..